KLM, one of the world’s largest airlines, serves over 20 million passengers each year. With 70% of these passengers outside of their home market, the Netherlands, digital marketing has given KLM the opportunity to reach their audience at scale, while at the same time personalizing their communication. One of KLM’s main goals was to bring new visitors to their website to purchase plane tickets. They began using DoubleClick for programmatic buying in order to reach these prospects efficiently. “From the beginning, the advantages of bringing programmatic buying in-house were clear: transparency in the costs, control over the costs, and a much more effective campaign setup,” says Arjan Grootveld, Display Marketing Manager at KLM. And they saw real uplift in efficiency over media spend. Grootveld told us, “If we look at our prospecting campaigns, if we compare pre- and post-programmatic, we see really see a decrease in costs.” At the same time, they were able to decrease CPA by 50%, and increase ROI by 200%. The team at KLM is confident that programmatic buying has paved the way for innovation, and they see it as a huge enabler for the future. This is our third post in a blog series on using real-time data to win in SEM. Today, we’re writing about the importance of real-time for product launches. If you’re a marketer, a product launch can translate into a long list of to-dos - from updating your website with product, pricing, and promotional information, to setting up your campaigns for maximum exposure. Then, you have to carefully monitor sales and respond to real-time changes in consumer demand. While some retailers receive and act on performance data after 24 hours, this lag can result in a significant lost opportunity for others. Real-time data helps you act in the first crucial minutes and hours of a launch. Real-time data and the tools to act on it in DoubleClick Search can help make your launches a success. Automated bid strategies update bids multiple times per day to meet business goals. Up-to-the-minute conversion reporting means you can see sales as they come in, make adjustments, and ensure your changes are live across all engines as fast as you react. Real-time becomes even more crucial in competitive markets when, for example, a single product is launching in numerous retail outlets at once. To illustrate this, we’ll use some examples from the mobile industry. With the release of the iPhone 6 and Moto 360 in September, and with pre-sales having opened for the Nexus 6 on October 29, autumn is a big launch season for mobile retailers. How important was real-time on these days? An example from the days following the iPhone 6 launch shows that DoubleClick Search responded to breaking trends throughout the day, and updated relevant advertisers’ bids an average of eight times, sometimes topping out at 13 bid changes per day during the highest-peak days. These frequent changes were made to drive incremental revenue or to push ads to the top of the page. 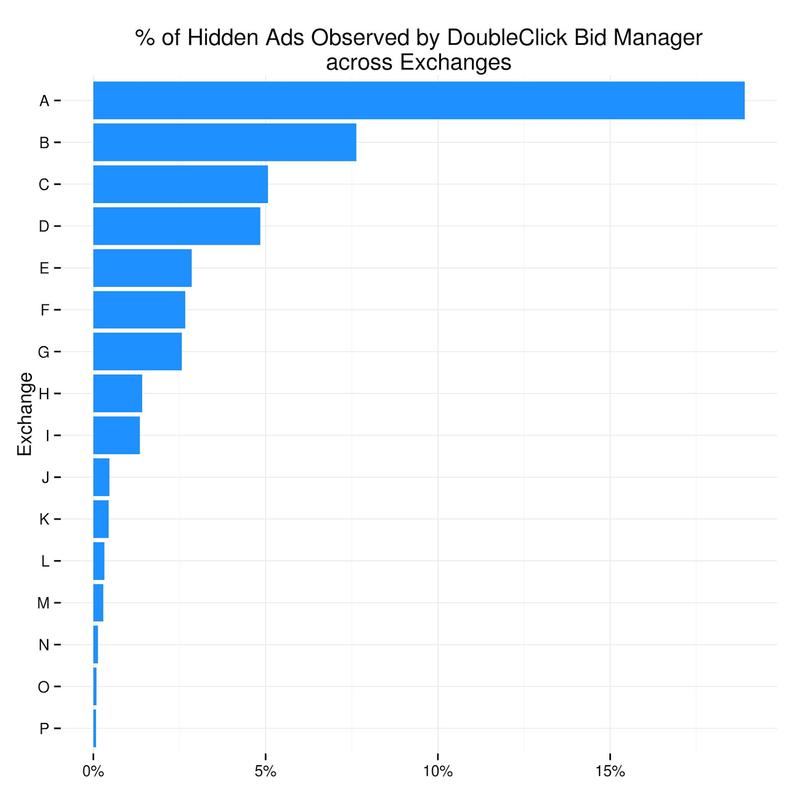 Without DoubleClick Search’s real-time data and real-time bid strategies, these advertisers would have been left with their original bids for the whole day—missing out on opportunities for more sales. But real-time is about more than just changing bids frequently. It is about knowing what is happening, like understanding what is and isn’t converting. During big events, the propensity for your keywords to convert can change dramatically. A big launch like one for the iPhone or Android generates many curiosity-seekers who - while not in-market - will be looking for information. Do these clicks matter for your business? Real-time conversion data shows you the answer, separating out keywords that drive revenue from those that just capture browsers, and distinguishing, in real-time, how they in relation to a big market event. With all of this real-time visibility available directly in your reporting, you can make quick decisions on whether you want to be in-market for non-converting keywords that may yet be important for your brand to stay out there. Automated bidding rules can make this even more responsive. Real-time data can also be extremely useful for big seasonal events. As the holidays approach, our next post will highlight how DoubleClick Search clients used real-time data to take advantage of Black Friday and Cyber Monday this year. After more than a decade in the market, Kia has more than 200,000 cars on Australian roads. As the traditional path to purchasing cars has shifted toward digital, Kia needed a better way to understand its media mix and optimize its digital campaigns. One of Kia’s main challenges was that its data was divided among multiple digital marketing platforms, each collecting different information about the same consumer. This made it difficult to understand the buyer’s behavior on the path to purchase. To tackle this problem, Kia and its media agency, Initiative, adopted DoubleClick Digital Marketing to manage all of Kia’s digital marketing efforts across search, display, video, and mobile. Using one unified platform, the team was able to eliminate the multiple silos of data, remove reporting discrepancies, and develop a holistic view of the Kia customer. 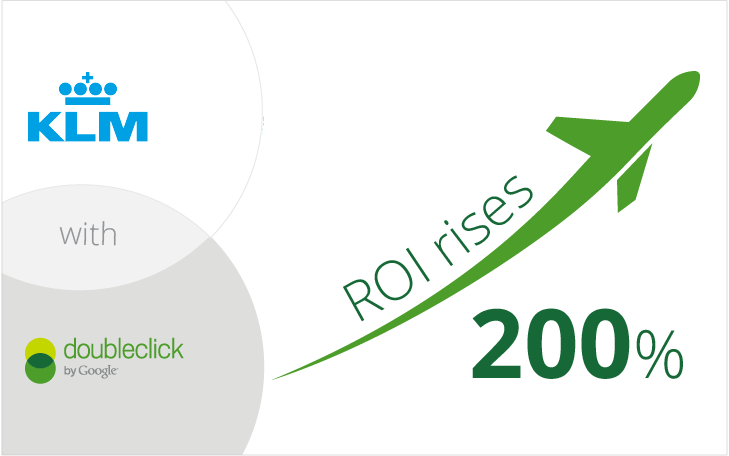 “The benefit of using DoubleClick is that we got a single reporting solution across all of our digital platforms,” says Simon Flaxman, Initiative commercial director. 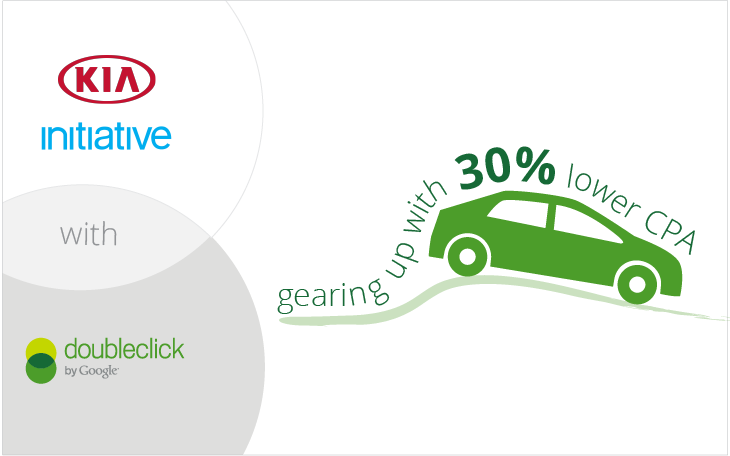 With all data in one place, Kia and Initiative began taking advantage of the DoubleClick attribution tools to help them analyze every step of the customer journey, not just the last click. This allowed them to more accurately credit different publishers, channels, and screens. Using the Attribution Modeling Tool, they began testing various budget scenarios for individual publishers and channels, which was helpful for planning future sales cycles. 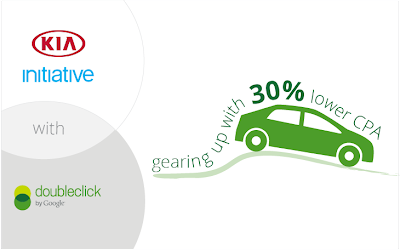 Since adopting the DoubleClick Digital Marketing platform, Kia has reduced its CPA by 30%. Today, Kia is focused on “winning in the middle” of the sales funnel, and doesn’t just look at the last click. It has the tools in place to accurately measure and gain insights into all of its digital activity, in real-time, on a single platform. To learn more about Kia’s approach and results, watch the video below and check out the full case study here. Include data from IBM Digital Analytics in DS reports: You can now report on IBM Digital Analytics data directly in DoubleClick Search (DS). After your DS advertiser and Digital Analytics accounts are linked, you’ll be able to see conversion events—including revenue and item counts—from Digital Analytics in the DoubleClick Search UI. You can also download and schedule reports with this data, retrieve the data from the DoubleClick Search API’s Reporting Service, as well as use the data in formula columns. To get started, email your DS support contact and let them know that you want to link DS with Digital Analytics. See Link a DS advertiser with Digital Analytics for the information to include in your email. Manage AdWords location extensions in DS: Location extensions show your local business address, phone number, and a map marker in text ads served by AdWords. Now you can use DS to manage the location extensions that you've set up in AdWords. Report on the quantity of items in transactions: Now you can use DS to report the number of items in transactions recorded by Google Analytics and Floodlight activities. Just add the GA quantity, Action quantity, and Transaction quantity columns to a report, or to a formula column. Choose an attribution model for distributing credit: By default, bid strategies attribute full credit for a conversion to the last paid click. In effect, bid strategies optimize bids to maximize the number of last click conversions in the funnel. If instead you prefer to optimize for paid search clicks throughout the funnel, you can select an alternate attribution model such as time-decay. Set a maximum CPA: Bid strategies optimize bids across the whole portfolio to increase efficiency by bidding more for some keywords and less for others. This can mean that the average bid for some individual keywords drives a CPA that's over the target CPA, even though the overall strategy is profitable. To attempt to keep the average bid of each keyword in the profitable CPA range, you can now set a max CPA constraint. Start axis at zero: Now, if you want to show the scale of change between data points in your bar and line charts, you have the option to start the axis at zero. For close data ranges, starting at zero expands the scale of the range. Combine the range for measurement on one axis: When comparing different metrics in bar and line charts, you can also combine metrics that use the same unit of measurement on one axis. For example, you can combine clicks and impressions on the same axis because they are measured the same way. Updated editor for text ads: To make it easier to create text ads, the ad editor now provides separate fields for each line along with a preview of the ad. As you enter text, you'll see the number of characters that you can type in each line. And for a shortcut, you can paste an entire ad into the Headline field. DS will automatically fill in the fields with text you pasted. Download sitelink reports: You can use the reporting API to download reports with metrics for AdWords sitelink extensions. Report on custom Floodlight variables: In DS, you can use custom Floodlight variables to report conversion data that is unique to your business needs, such as the genre of a movie that a user purchases, the name of the store from which an item is purchased, shipping costs, and so on. The data can be uploaded by a Floodlight tag on the advertiser's site or by the DS conversions API, and now you can use the DS reporting API to download reports that contain the data. As leading specialists in SEM, Periscopix was looking to extend its digital marketing offering to include display. With core competencies in optimization and performance, the team saw the growth of programmatic buying as the perfect opportunity to begin optimizing their clients’ campaign across channels. Periscopix adopted DoubleClick Digital Marketing for all of their digital efforts, from building creatives, to executing across reservations and programmatic, to measurement and optimization. By implementing the unified platform, Periscopix was able to efficiently expand into display, while staying true to its reputation for transparency and performance. The results speak for themselves. 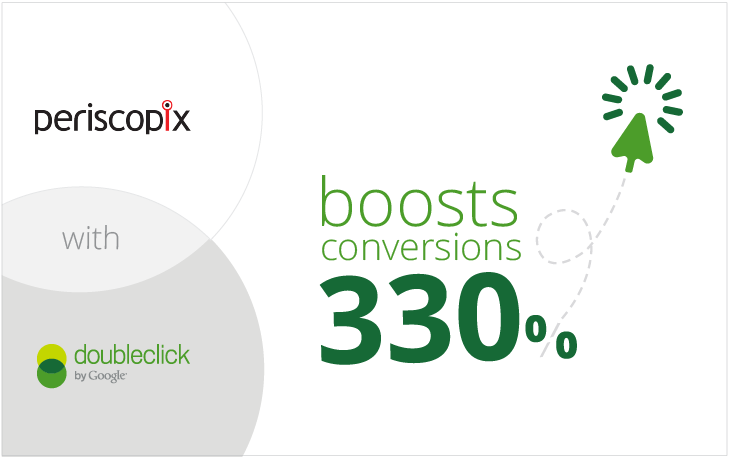 In a 90-day period, the conversion rate among Periscopix clients increased 509%, and post-click conversions increased 330%. At the same time, they saw a 158% increase in site traffic across all clients. To read more about how Periscopix is driving success across channels, read the full case study here.